The Burberry brand was launched by the late English designer, Thomas Burberry. Mr. Burberry established the brand back in 1856 when he was only 21 years old. Initially, the fashion brand only designed luxury clothes and coats. Even though Thomas Burberry passed on in 1926, his legacy continues to date. The first Burberry cologne was introduced in 1981. The Burberry Touch for men has a refreshing fragrance that is harmonized with woody hints. The top notes are strong, which means that the cologne will last for long enough. This is a perfect cologne to wear if you are attending special events. Also, it can grab the ladies’ attention with its cool scent. If you need a cologne that isn’t too strong nor too light, the Burberry Touch for men should be a good choice for you. This cologne is believed to be designed to promote the heritage of the brand, which was established in the UK. The blend of notes in this cologne offers a sophisticated fragrance that will become more appealing as it settles. 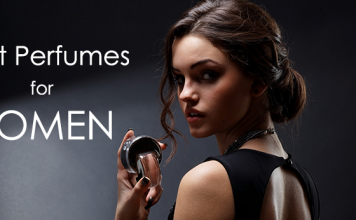 You will notice some spicy hints, which makes it a perfect choice for the classy men. This cologne can give you some extra level of confidence around your friends and the ladies. Ideally, this cologne should be worn over the winter season. So as the cold season approaches, get ready to purchase the Burberry London for men. Burberry Weekend is a suitable cologne to wear over the summer season. If you are a young and energetic man, you’d be sure of enjoying the refreshing fragrance of this cologne. The top notes deliver a crisp citrusy scent that is balanced with melon and breezy floral scents. It has a fairly feminine scent, which may not be an ideal choice if you need a masculine fragrance. You will enjoy wearing this cologne if you are going on a fun-filled getaway on the weekends. The Burberry Brit for men comes with a sophisticated scent that is irresistibly good. It has a blend of bergamot and mandarin that gives it a citrusy fragrance. This is then balanced with the spicy cardamom and ginger. The base notes of nutmeg, wild rose, and cedar give it the masculine scent. Wear this cologne if you are planning to go for a romantic outing. It also lasts for a fairly long time, and it has a moderate sillage as well. This is one of the men’s cologne that offers the most masculine scent. Its masculinity will give you some extra confidence level and also appeal to the ladies. The top notes are crispy, and they are well harmonized with the strong middle notes. The perfume has base notes that have a subtle woody scent, which enhances its masculinity. If you are an ever-busy man that wants to smell nice throughout the day, this should be the right perfume for you. You should also consider wearing it when you are going on a romantic evening. Burberry The Beat is a cologne designed for the modern man that loves a citrusy fragrance. 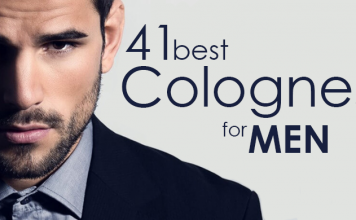 If you are a fan of style and fashion, this cologne will suit you perfectly. The citrus hints are harmonized with a blend of pepper and vetiver. You will also notice the unique woody scent that assures you of a completely masculine fragrance. The cologne has a moderate longevity and sillage, which makes it a good perfume to wear to work. You can also wear it to other social events. The Burberry for men was launched in 96, and it stands as one of the fragrances that carry on the legacy of the brand. It offers a refreshing scent that gives you extra confidence around people. The cologne is balanced with notes that give you a sense of tranquility. It also delivers a scent that is appealing to the ladies. Burberry for men lasts for a reasonable amount of time, and it has a moderate sillage that makes it an ideal cologne for your regular working days. You can wear it both in Spring and Winter seasons and at any time of the day.